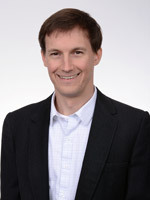 Steven Wisnor manages the TESOL and World Languages Education Master of Education and Bachelor of Education preservice teacher’s field experiences including evaluation and field experience data collection. As program manager, he facilitates collaboration between preservice teacher, mentor teachers, supervisors, and other stakeholders; evaluates and provides feedback on preservice teacher progress in the classroom and in coursework; mentors preservice teachers and serves as a resource of education-related knowledge; develops and teaches courses; prepares preservice teachers for licensure/graduation assessments and the job-search process; and participates in curriculum and assessment development that supports preservices teachers' individual growth. Served the needs of K-5 emergent bilinguals/English learners (Winchester, MA, Public Schools) and adult immigrants and refugees in community-based ESL programs (Cambridge and Framingham, MA), Columbus Literacy Council, CRIS, and Columbus City Schools (Columbus, OH). Also taught adult professionals at the New England School for English (Cambridge, MA) and served as an English-language teaching volunteer in summer programs in Poland. Seeing professional partnerships between mentor teachers, supervisors, and our BSEd candidates emerge and grow—both during and after candidates complete their degrees. The relationships that our candidates develop at Ohio State and at their placements provide them a strong network of colleagues even before they enter the teaching profession.